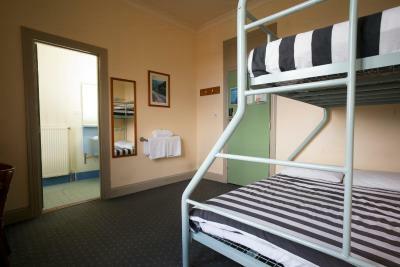 Lock in a great price for Blue Mountains YHA – rated 8.9 by recent guests! Staff was nice. Kitchen was decent with enough storage space. 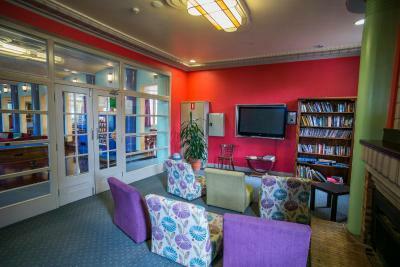 Excellent location in Katoomba. Fantastic price. Close to stores, groceries, restaurants, hiking and the train station. The building has a rich history and it’s well preserved. Very efficient operation. Super nice staff - very helpfull and quite knowledgeable. The place is clean and has a good kitchen. Large seating area. Welcoming staff. Room had plenty of options for charging electronics and hanging towels. Bathroom was clean. The room and the lockers were very large. The kitchen was big and clean. The bathroom was very clean as well. There's a parking and it's not far from the attractions. 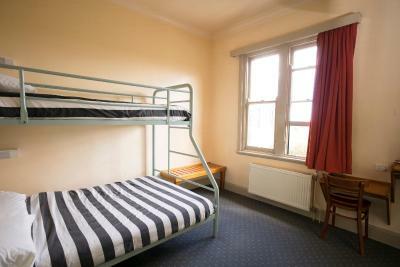 Staff were lovely, the kitchen and common area is very spacious and comfortable. There are a few families who stay but it seems like the hostel tries to run events to be social and can suggest many local activities. Short walk to town. Warm rooms and showers. Very secure. Really enjoyed our time here. Everything was spacious. Kind personnel. Cooking facility and self served laundry. Close to Three Sisters. Early check in. The quietness, cleanliness, spaciousness & friendly staff. 2 thumbs up guys! 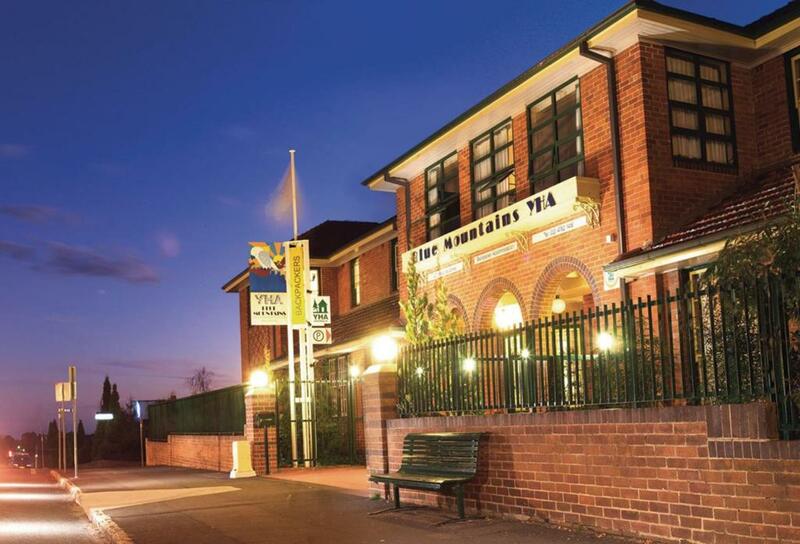 Blue Mountains YHA This rating is a reflection of how the property compares to the industry standard when it comes to price, facilities and services available. It's based on a self-evaluation by the property. Use this rating to help choose your stay! 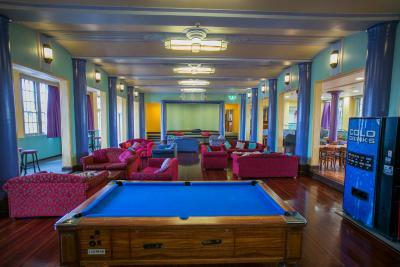 Located within an Art Deco heritage-listed building, Blue Mountains YHA offers a range of rooms, a BBQ area, a games room and an impressive former ballroom with a cozy fireplace. 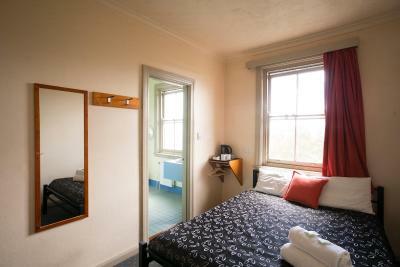 The property is just 2,300 feet from Katoomba Train Station. All rooms include free onsite parking. 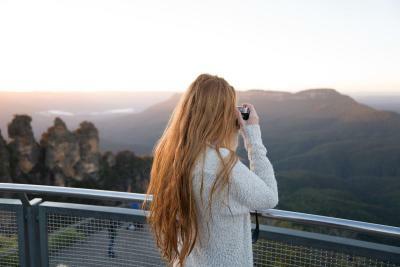 Blue Mountains YHA is 20 minutes’ walk from the famous Three Sisters and Katoomba Scenic World Railway. Katoomba Golf Course is a 5-minute drive away. Accommodations options include multi-share or private en suite double and twin rooms and family rooms with attached bathroom. The tour desk can arrange local activities including abseiling, mountain biking and horse riding. 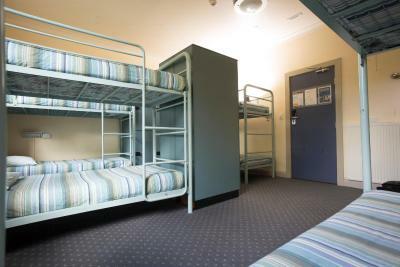 Blue Mountains YHA also offers a communal kitchen. 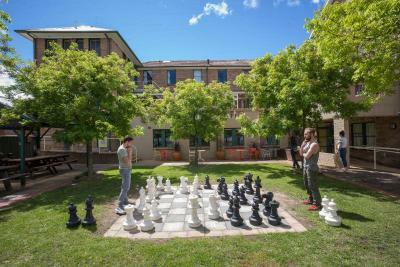 뀐 Located in the top-rated area in Katoomba, this property has an excellent location score of 9.4! 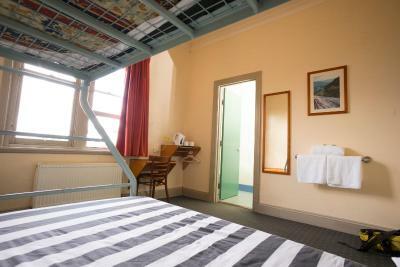 When would you like to stay at Blue Mountains YHA? Please note that the price is based on 1 guest staying in a bunk bed. This room features a private bathroom and a work desk. This room features a private private bathroom, a TV and a work desk. 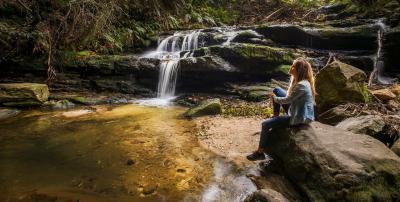 House Rules Blue Mountains YHA takes special requests – add in the next step! Blue Mountains YHA accepts these cards and reserves the right to temporarily hold an amount prior to arrival. Please note that children under 12 years of age must be accompanied by an adult. 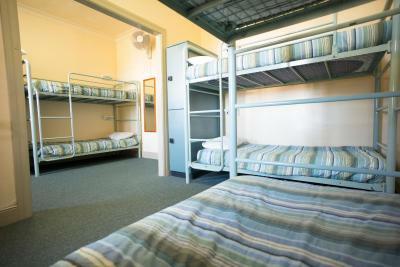 Children are not allowed to stay in dormitory rooms. Guests arriving outside reception opening hours can check in using the hotel's check-in machine. To receive the password, guests are requested to contact the hotel prior to arrival, using the contact details found on the booking confirmation. Big kitchen, perfect location, good WiFi and very clean! The pillow of my bedroom was too fat and hard and I woke up with pain on my neck, one of the staff was not so kind but the rest was amazing. I reckon it. Clean and tidy, excellent location, very nice space with a big room with sofas, an amazing backyard. Art Deco architecture and friendly staff. There pool table didn’t work. The whole place was clean and tidy. Staff were friendly and helpful. Great walks nearby and a lovely little village with shops and restaurants were very close. The room wasn’t totally clean when we entered. Good value for money. A cosy hostel that feels like a lodge. 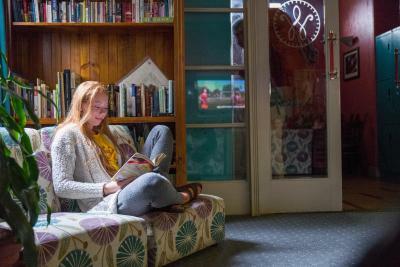 Nice and cosy Common room. Decent kitchen. Because of the amount of people the place can accommodate, the kitchen can be busy in the evening. They charge to leave your bags after checkout. 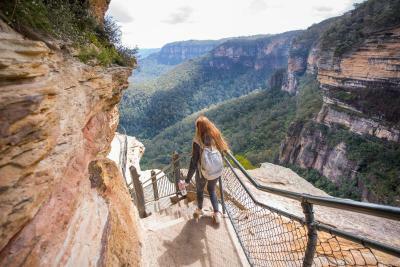 I had a wonderful stay at Blue Mountains YHA. The location is terrific, the staff was friendly, and it was extremely clean. The lockers in the room are a good size, and the beds are comfortable. There was a group of very noisy youngsters and nobody in the YHA, neither the staff nor the persons in charge of them would tell them to respect the other guests and be more quiet and careful. - The location! Next to the supermarket and close to the Three Sisters! - Big kitchen. WiFi is disappointing. The cleanliness was okay. The vibe was a bit weird. Lovely place! We upgraded to a private room and we got free breakfast from the staff. There was a relaxed atmosphere. The staff could give us a lot of useful information about the blue mountains and what to do while we were there. The kitchen is very big, so it almost never got crowded in there. We enjoyed our stay!